-1,494 cc or 1,630 cc four-stroke, Rotax(r) with three cylinders inline and four valves per cylinder: Rotax(r) engines with maintenance-free supercharger*, external intercooler and the Advanced Combustion Efficiency (ACETM) technology. The Rotax(r) 1500 HO ACETM is optimized for regular fuel, and is faster and more powerful than its predecessor, but just as fuel efficient, while the Rotax(r) 1630 ACETM is the most powerful Rotax(r) engine ever, delivering high efficiency and amazing acceleration. 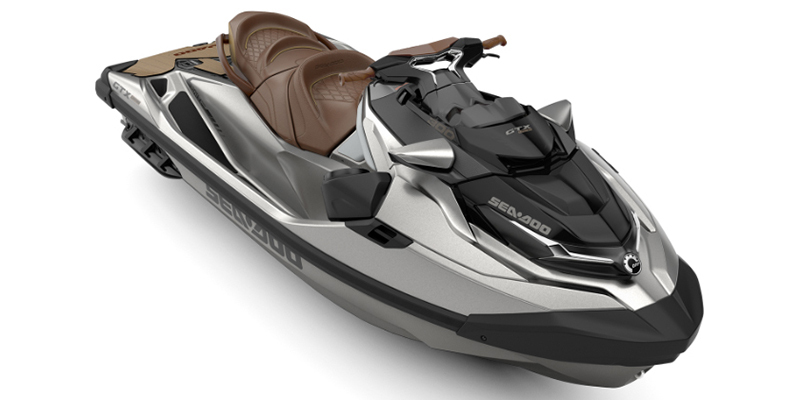 -D-Sea-BelTM system: Combines a series of resonators and vibration absorbing components to make Sea-Doo watercraft some of the quietest on the water. -Ergolock Seat with Stepped Design: Seat with narrow profile and knee support that lets riders sit in a more natural position and leverage their leg muscles to hold on to the machine for more control and less upper body fatigue. Also featuring a stepped design for more comfort and better visibility to passengers. -BRP Audio Premium: The industries first fully-integrated waterproof Audio System will keep the party going anywhere you do, with 100 watts of total system power, fully-waterproof performance, Bluetooth? connectivity, and external playback controls to ensure the perfect song is always on deck. -High-performance VTSTM (Variable Trim System): The VTSTM adjusts the angle of the nozzle to change the behavior of the watercraft and improve parallelism to the water. The high-performance VTSTM provides handlebar-activated for quick settings. -Additional Gauge Functions: Depth finder, Altitude indicator, Water temperature. -Soft Knee Pad: Soft knee pad designed to provide extra comfort. -Storage Bin Organizer: Provide smart storage with cup holders.